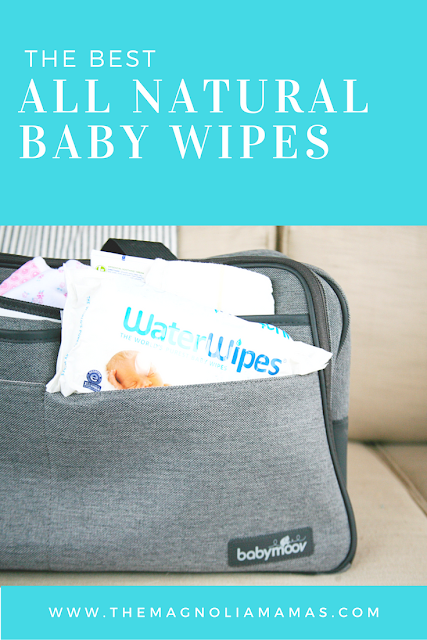 Earlier this year I professed my love for a new favorite wipe - WaterWipes. Who knew that one could get so excited about a wipe? As a mom you realize pretty quickly though a good wipe can make or break your entire motherly existence. Well... maybe not so dramatic, but listen no one likes poopy hands right? A wipe has to be just right so it's not even a thought in your day. It works for you, does a great job at what it does, and let's you and your baby roll on happily with the rest of your day. 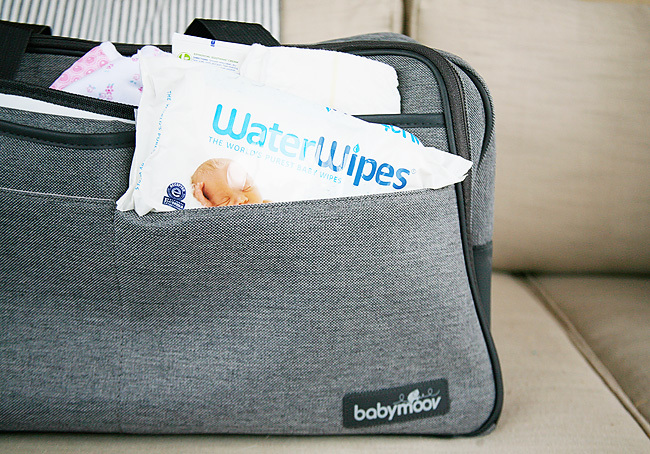 For us the wipe that has graced our diaper bags the most has been WaterWipes. Baby Cute has super sensitive skin. She continuously battles eczema, and I love that WaterWipes contain just what they say they do - water! Made up of 99.9% pure Irish water, and 0.1% grapefruit seed extract, they are chemical FREE. Between eating solids (which can get quite messy with this little one! ), and diaper changes we are using wipes all. day. long. That much wiping can be so tough on new baby skin, and especially for a baby with sensitive skin. WaterWipes have proven to be durable and effective without any of the harsh chemicals that can irritate her skin. Plus I love the moisturized feeling they seem to leave behind on that cute tush. Even from the first use, I was able to tell that Baby Cute's skin seemed to feel smoother and more moisturized in comparison to other wipes. Aside from just all around being a great wipe, I love that I am able to get WaterWipes straight to my doorstep! WaterWipes are available at a variety of locations, but I was beyond excited to learn that I could order them for a great price from Walmart.com. If there is one thing I love more than a great wipe, it's being able to shop with ease for said great wipe without having to leave the comforts of my home. With three little ones underfoot, convenience will always win. Because we love WaterWipes so much we are partnering with Walmart.com, some other amazing bloggers, and I-C for a fun giveaway. Now through November 9th, enter for a chance to win one of 5 $100 Walmart gift cards. I-C will randomly select the winner from all program entries and facilitate fulfillment of the winning prizes (5 winners). As a parent, what item(s) helps you get through your day with ease? I am in LOVE with water wipes too!!! It's all I use... truthfully I feel they are better for the girls too! Other wipes irritate her bottom. We LOVE waterwipes! I won't use any other wipes! I've really been wanting to try these out! I've never tried these but I'm always looking for an easy way to clean up my little ones' faces without drying their skin.